Join Full Circle for the launch of our 2018/2019 season at Full Circle House! 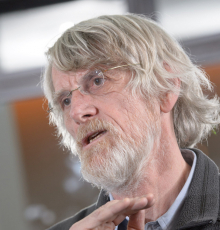 Leading Belgian political philosopher and economist Philippe Van Parijs will put the spotlight on Belgium. With the rise of identity politics leaving the fault lines between Belgium’s two regions more exposed than ever, and calls for separation in both Flanders and Wallonia getting louder, Belgium’s future looks uncertain. Both are convinced of their ability to survive without the other – but both want Brussels. In this talk for Full Circle, Van Parijs will set out his ambitious vision for the future of Belgium, explaining why he believes a genuine European utopia is within reach. Philippe Van Parijs directs the Hoover Chair of Economic and Social Ethics at the Catholic University of Louvain and has been a visiting fellow of many other institutions. He is one of the founders of the Basic Income Earth Network and is best known for his work promoting a universal basic income, as well as the first systematic treatise of linguistic justice.